There are many, many museums in the city and I love to visit the art museums to see the exhibits and sketch from the Masters. We saw a Leon Kossoff drawing exhibit at the National Gallery in London (2007) and I was impressed with his return visits to sketch the same few works by Masters many times during his career. I thought it might be fun to try this, in part to see how my art skills evolve and how my familiarity with the painting may change my drawing over time. 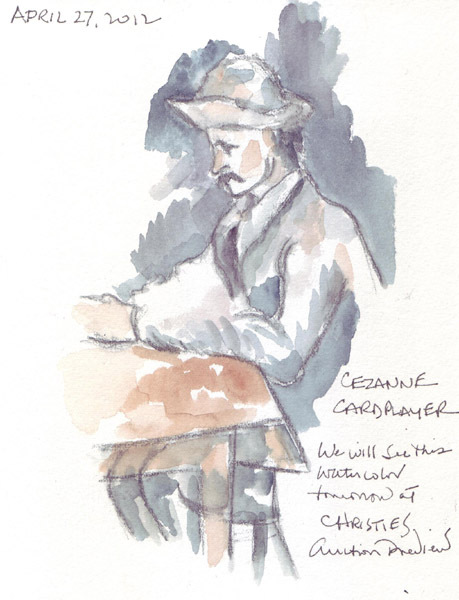 On my first visit to the Metropolitan Museum of Art in 2008, I sat in front of Cezanne's Card Players and sketched it. 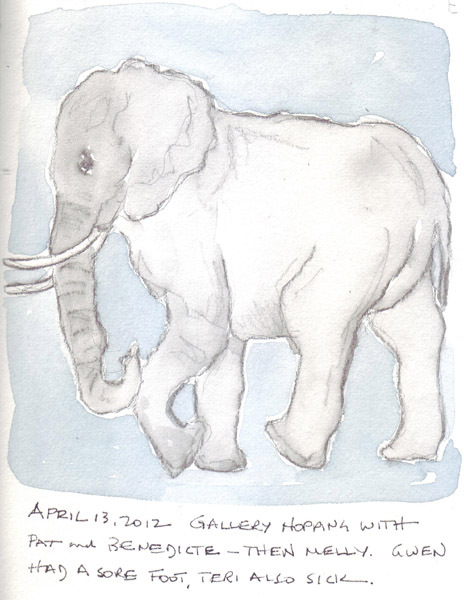 I sketched it annually and then sketched many of the preparatory paintings in a big 2011 Cardplayer exhibit at the Metropolitan Museum of Art. Cezanne did 5 oil paintings of the Cardplayers - one with 5 figures, one with 4 (owned by the Met), and 3 with two figures. 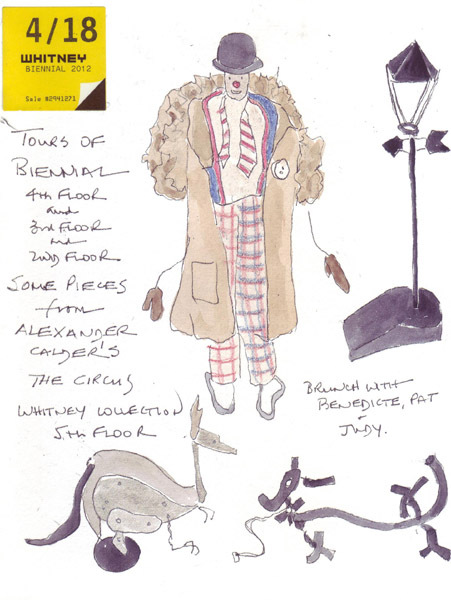 The 2011 exhibit at the Met was unable to reunite all 5, but there were many preparatory drawings and paintings of individual figures. 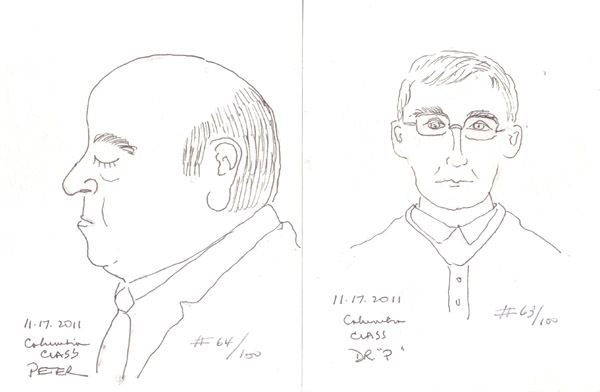 I sketched some of them on 3 occasions. 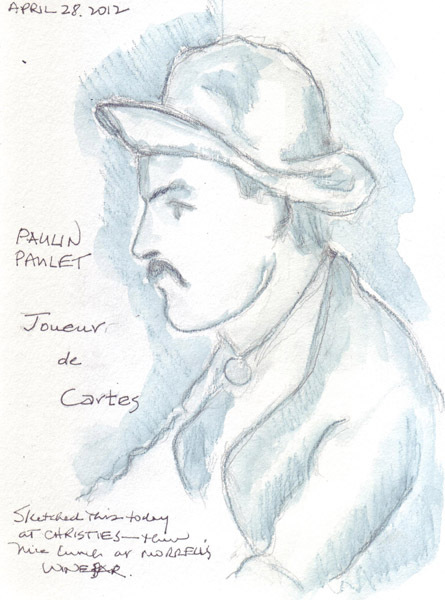 I was thrilled to learn that a previously unseen preparatory watercolor of Paulin Paulet, a gardener from Cezanne's family estate, was being auctioned at Christie's NY by a private collector. He is the only figure that appears in all 5 paintings. 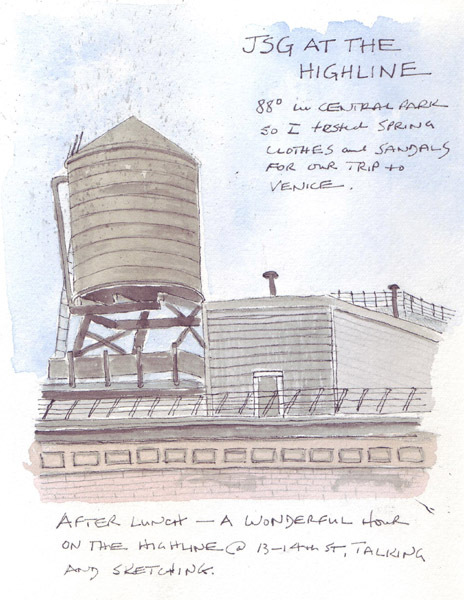 There was a full page picture of the painting in the NY Times on Friday and I painted it in my sketchbook. On Saturday, at the auction preview, while many people were viewing the painting, I sketched the head again with a watercolor pencil. 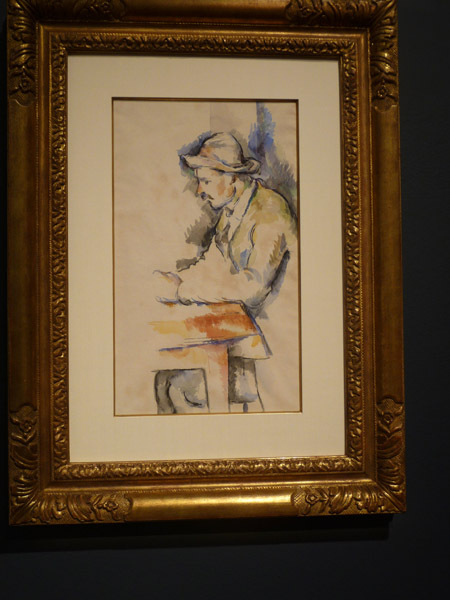 I may never get the head tilted like Cezanne! And then waited until I could get an angle for a photo without reflections of the spotlights. Last night this watercolor sold for $19.1 million dollars!! 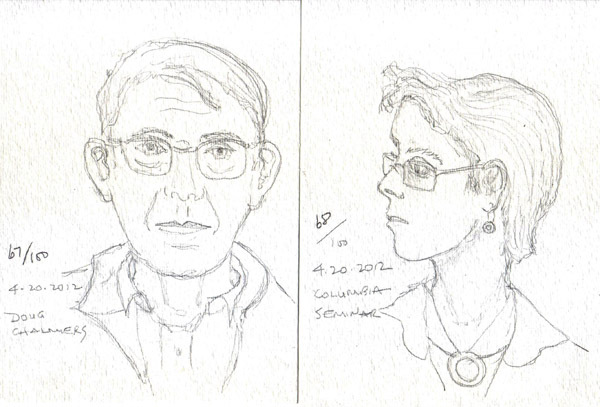 This week was my monthly visit to the Society of Illustrators for figure drawing. I love the event, but can't seem to get there more than once per month. There are 2 models and live music and a bar! What more could I want? More time in my life to do everything that I would like to do! This post will have 2 five minute, 2 ten minute, and 2 twenty minute sketches. 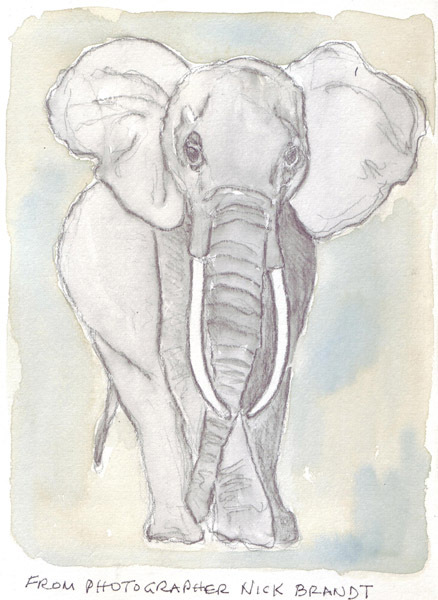 The black and white sketches were done with a 9B graphite pencil, the color sketches were done with watercolor pencils and then brushed with water in a Niji waterbrush. The first 4 images were scanned. The last two were photgraphed because of the size of the paper. This year I read a very interesting book about figure drawing, Peter Steinhart, Undressed Art, or Why We Draw. Although I see this book in stores, I rarely see it mentioned in art blogs. I recommend it for anyone who is interested in drawing, especially from live models. 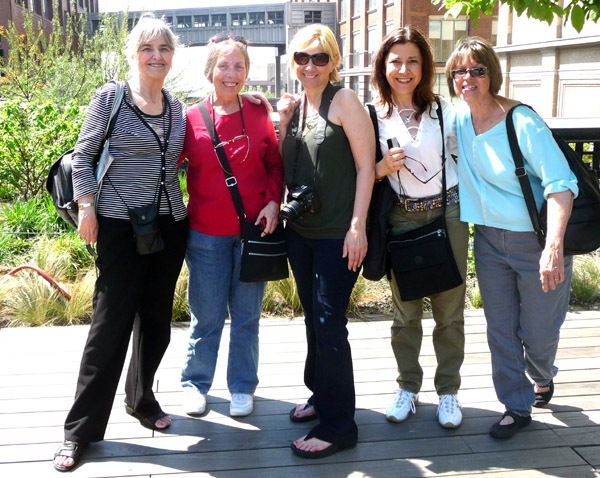 It is much more a historical perspective and source of inspiration, than a how-to book. Lark Crafts is doing a giveaway of a copy of Gwen Diehn's new book - The Complete Decorated journal: A Compendium of Journaling Techniques. This is a new bind- up/re-editioning of Decorated Page and Decorated Journal. In addition to the two original books, there are 13 artist profiles and other new content. Decorated Page and Decorated Journal were my bibles as I started my first sketchbooks. Go to the link below to get the details, and YOU may be the lucky winner! They're also giving away a little butter box journal that Gwen is making for them. 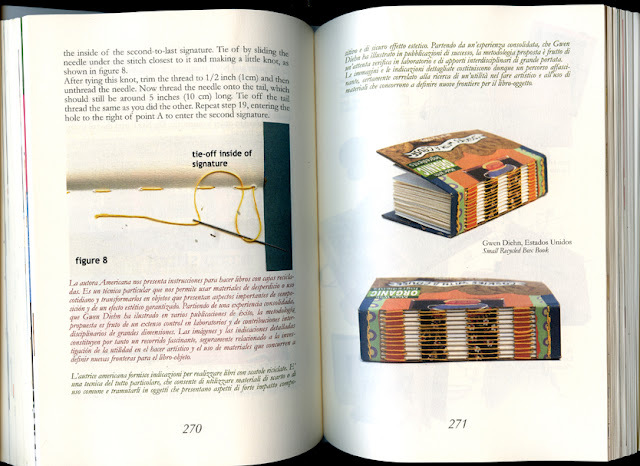 The picture below is from a book published in Spain (Use a Book by Elisa Pellicani: Barcelona: Consulta Libri Progetti, 2011) that the butter box book appeared in a few months ago. Gwen made this particular butter box book from a cookie box, but it's the same design, size, etc. SO if you'd like to win either of these books, go to the link below and do what they tell you to do! 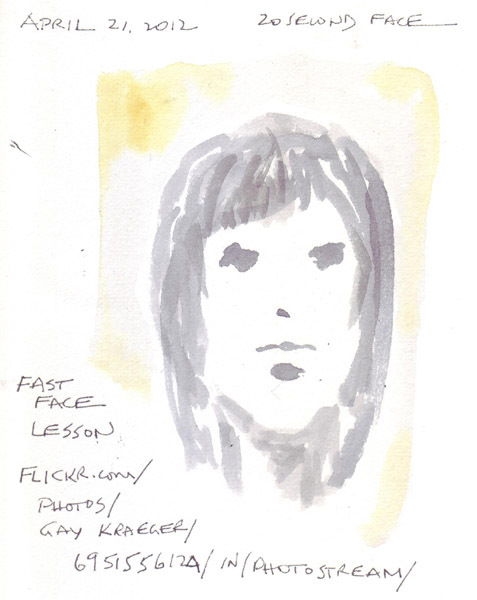 I started drawing 100 Faces several years ago as part of Carla Sonheim's book Drawing Lab. I forget about them sometimes, but recently started carrying my cards and supplies with me again when I'm going to be out and about. 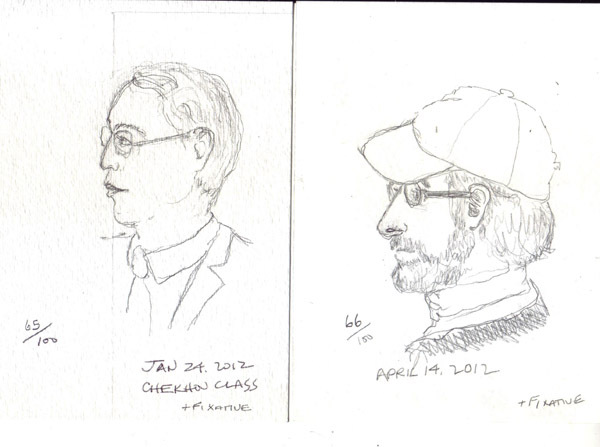 Here are the latest 6 - all done in classes or seminars.